International Studies majors are encouraged to study abroad. CWRU offers a variety of programs ranging from visiting a foreign country as part of a CWRU course, to enrolling in a summer foreign language program, to spending an academic year at a foreign university. Many majors complete both short-term and long-term programs. Courses completed during study abroad can be used toward the area, topical, and elective requirements for International Studies. Students are encouraged to explore study abroad options early. Students should request an appointment with a CWRU Study Abroad Advisor in the Office of Education Abroad and share their area, topical, and other interests in advance of the meeting. Schedule an appointment by emailing studyabroad@case.edu. Study abroad advisors provide guidance about selecting a program, obtaining CWRU credit, financing time abroad, and planning to live overseas. Students will also find it helpful to seek the advice of the International Studies director and CWRU faculty who share their interests. To see where International Studies majors have studied abroad, click on the tabs above. Where in the world are the International Studies Majors? Click on the icons on the map below to see where students are studying abroad during the 2017-2018 academic year. 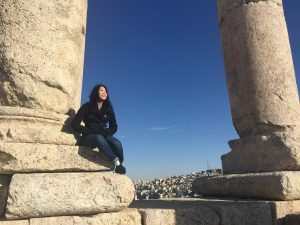 To see where students have studied abroad during past semesters, click on the Study Abroad Archives tab above. Red markers indicate students who studied abroad during the 2017-18 academic year. Where in the world have the International Studies Majors been? Click on the icons on the map below to see where students have studied abroad starting in the 2014-2015 academic year.